Oh.My.Gosh! Only one more Monday left and I'll be back at work! 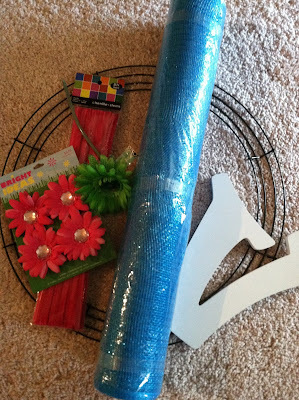 I've been getting my craft on because my hope is to have the bulk of my room ready by the end of this week! I'll post pics soon! 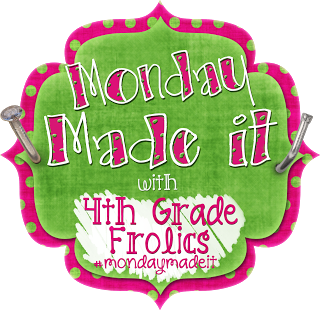 I, of course, am linking up with the fabulous Tara at 4th Grade Frolics! The first thing I made this week were some signs to hang on my walls. 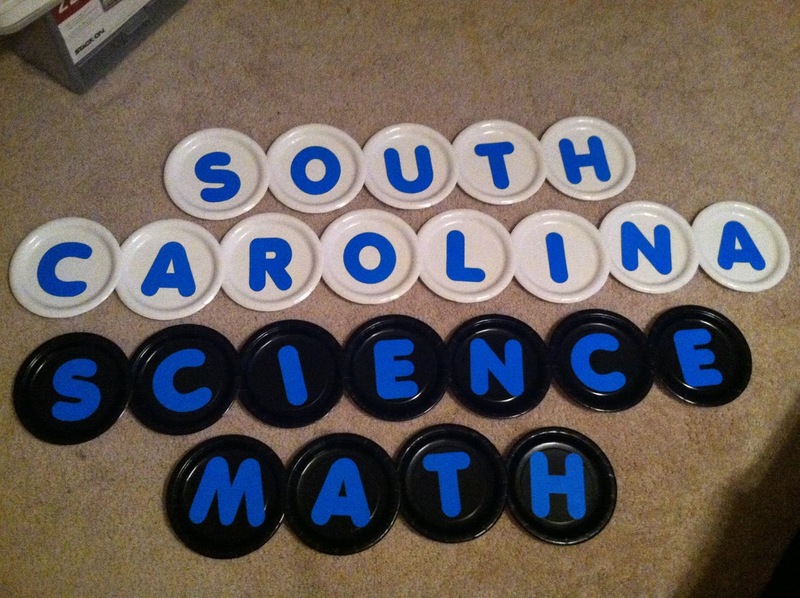 I used paper plates and letters from the Dollar Tree! A $3 project! Gotta love that! I teach SC history, so I decided to do that instead of Social Studies. Next up....I showed you this tease on my first MMI post here! Everything came from Hobby Lobby. 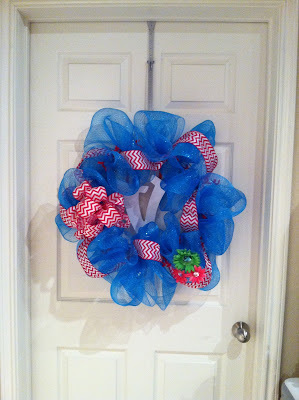 All of that created this fabulous wreath!! Isn't it great! 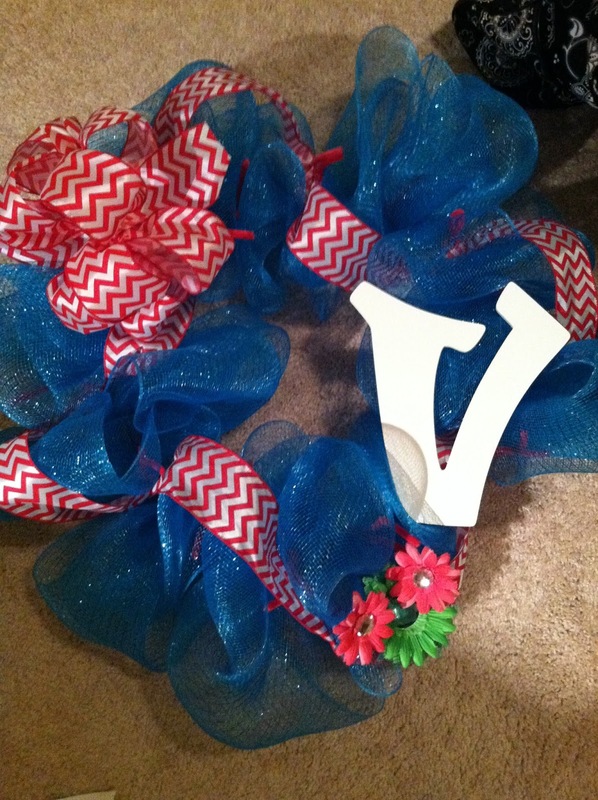 I just love it and am so impressed with myself! Ha! I looked for a tutorial online and didn't really find one I loved so I ended up using 3 different tutorials. 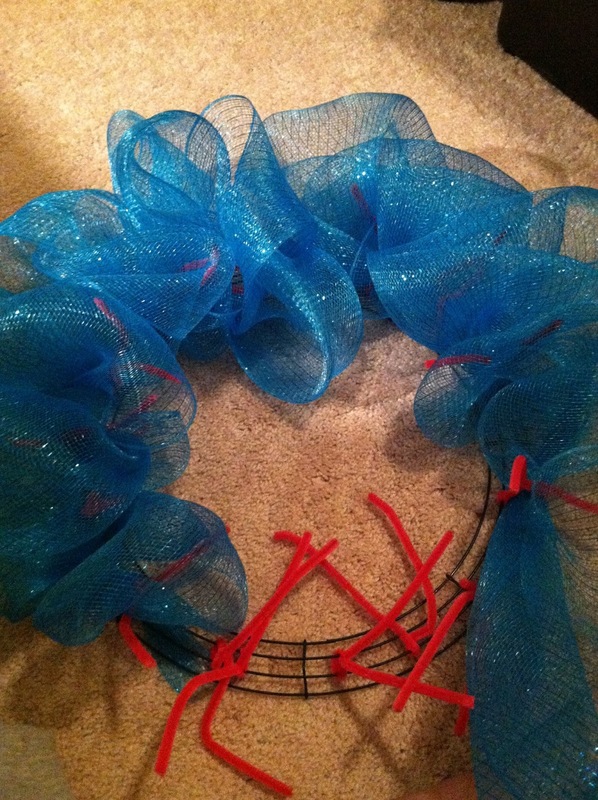 So here's my take on a deco mesh wreath. First I twisted the pipe cleaners on to the wire wreath form. My cat thought it was a toy I was making for her! Silly cat! I used hot pink because I wanted the contrast with the blue mesh. 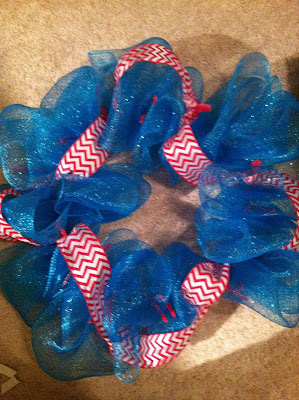 I would use the same color if I wanted to hide the pipe cleaners. Leaving the mesh on the roll, I attached the end of the mesh and pushed the little end toward the back. 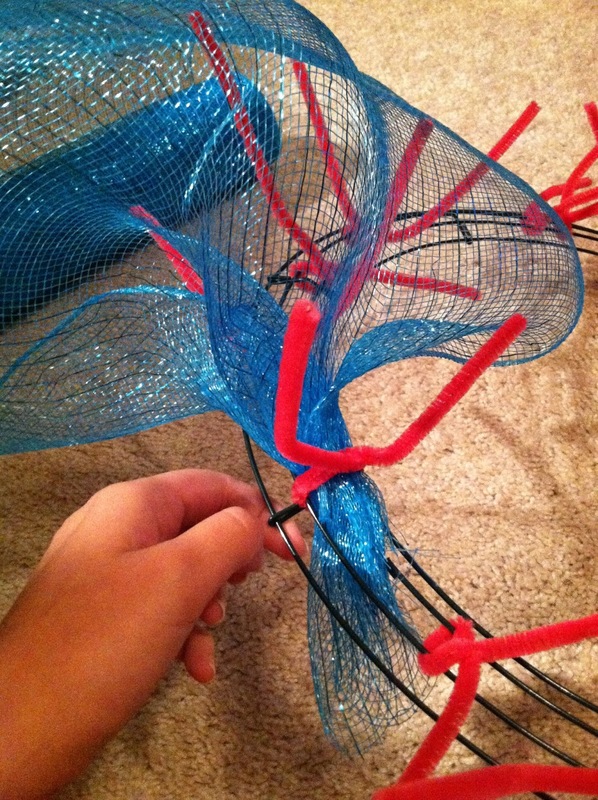 Then I just bunched the mesh and attached at the next pipe cleaner. The pipe cleaners did move around. Every so often I would move them where I wanted them. They stayed in place much better with the mesh attached. Once all the mesh is attached, you can fluff to achieve the look you desire. Next I took my ribbon and looped it around the mesh attaching it with the same pipe cleaners. I hot glued the pipe cleaners into the nail holes on the back! 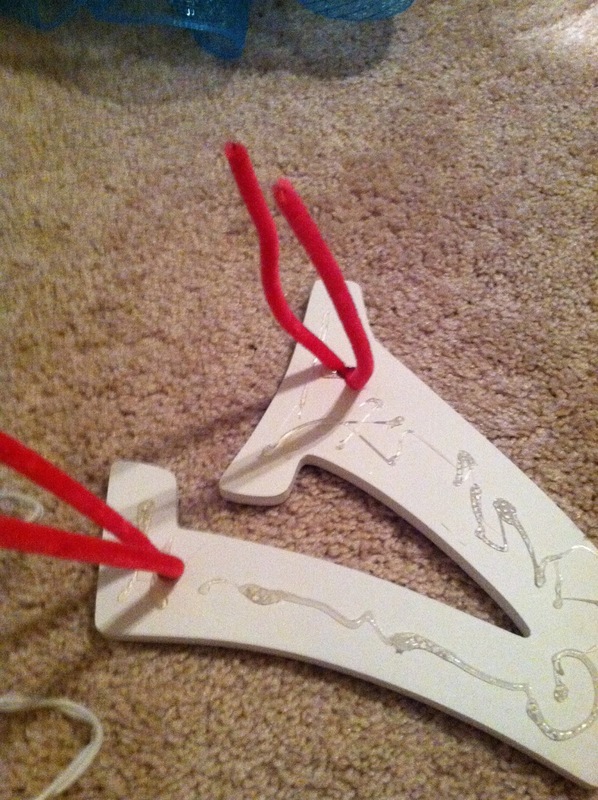 :) I attached it to the wire form. You can sort of see it in the picture below. I hot glued the flower embellishments where the letter was originally glued because when I pulled it off, it left a hole. 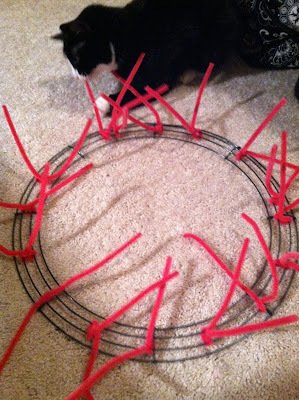 I then twisted the pipe cleaners with a pen. I love how it turned out and can't wait to hang it on my door at school! 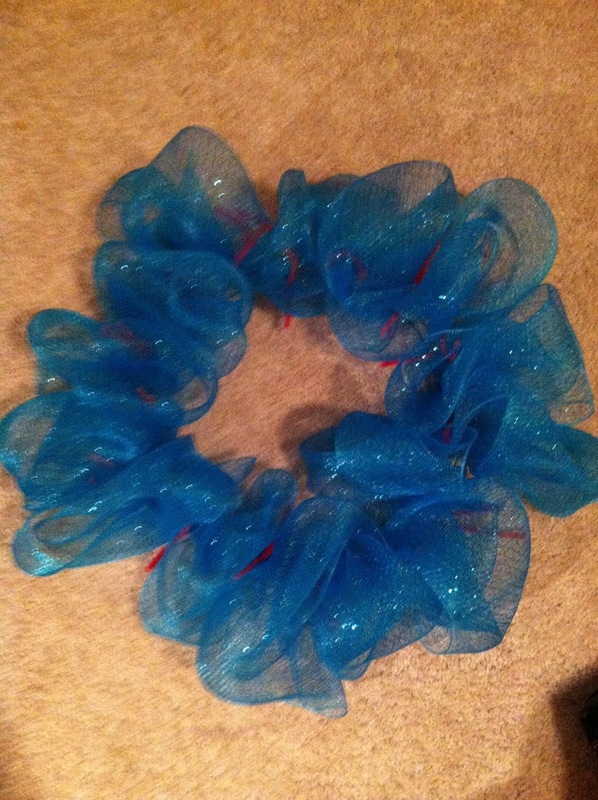 I love your wreath! It is super cute! Come take a peek at my wreaths! Great minds think alike. Cute! 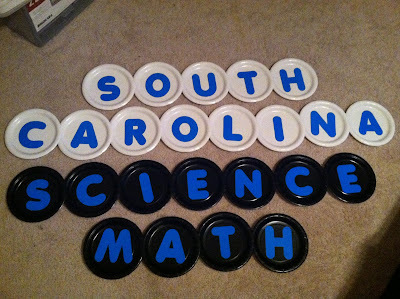 I just found your blog, we teach in SC too. 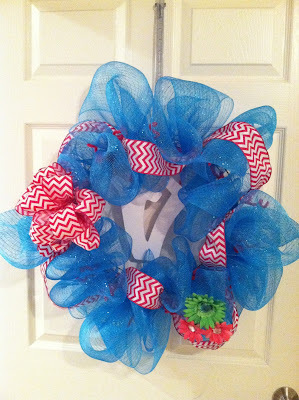 Love the wreath, amazing!! The wreath turned out great!!! I love the name of your blog. I am your newest follower and can't wait to read more post. I would love for you to come check out my blog if you get a chance. 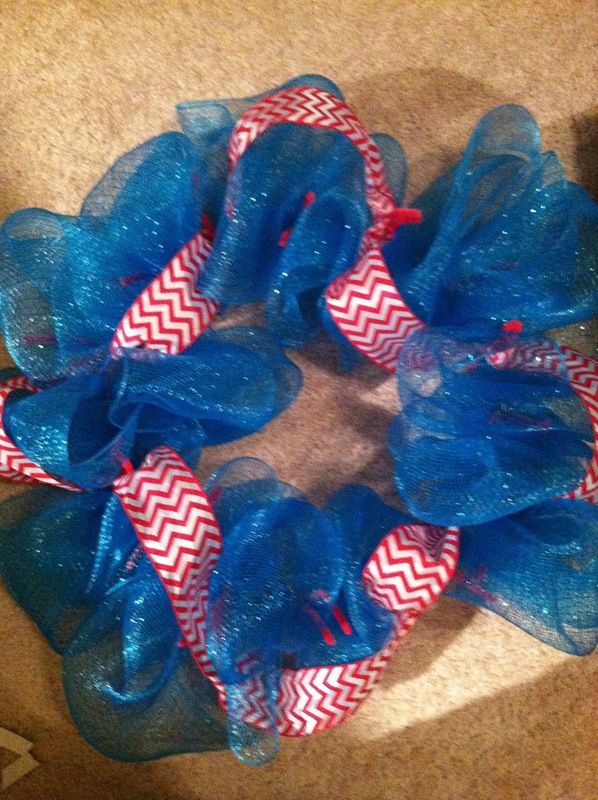 Love te wreath! Great job! 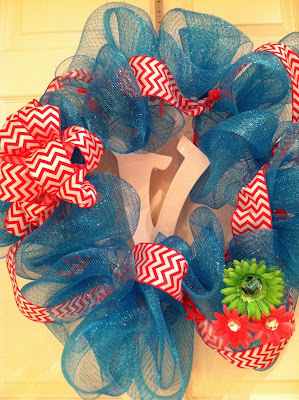 Your wreath is beautiful and vibrant! Your tutorial was easy to follow... I may need to make one of my own here soon! 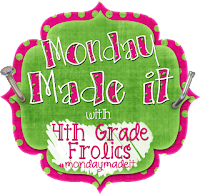 This is the first time I've visited your blog and I'm loving it! I'm your newest follower! Very cute! 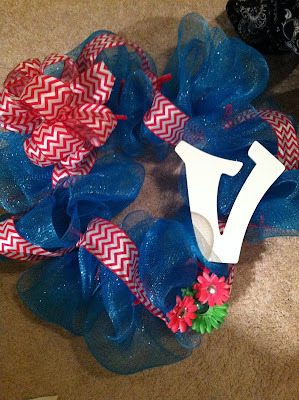 How could it not be with chevron added into the mix right?!?! I love your wreath! I so have got to steal/borrow your idea for my library door. Sara B.
Hi there! I happened upon your blog, and I have to tell you that I love its design! The wreath you made is adorable, too. I've signed on to follow you...I look forward to seeing your future posts!